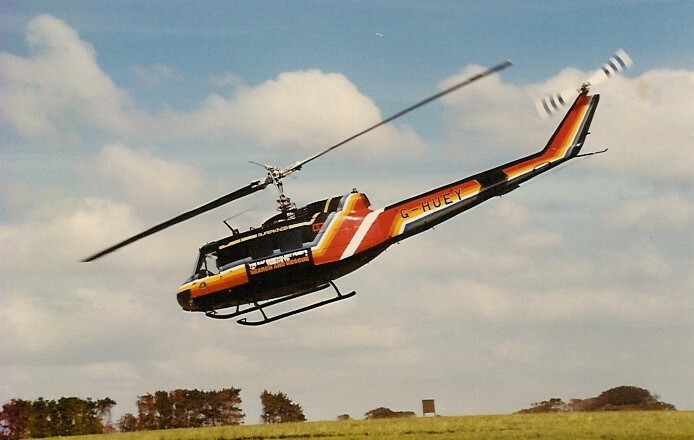 UK helicopter fans will no doubt remember G-HUEY, the UH-1H helicopter brought to the UK from the Falklands in the 1980s. This machine was flown around the UK Air Show by the RAF Benevolent Fund for about 5 years. 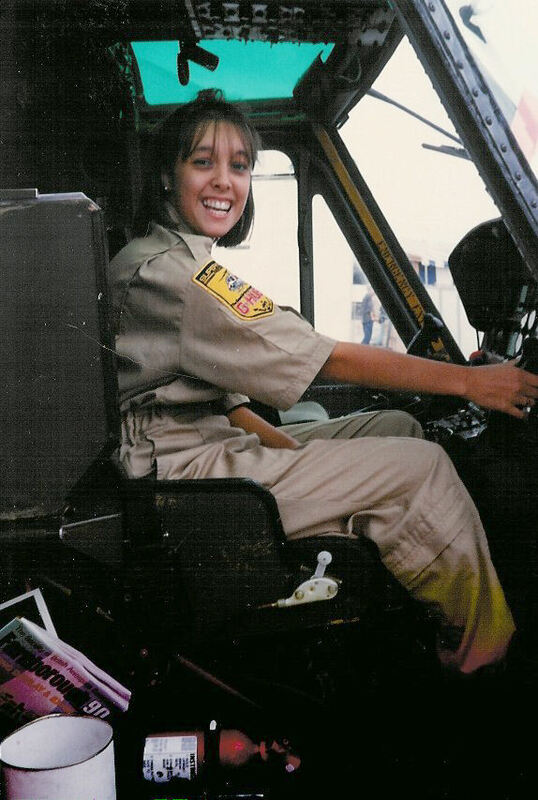 At this time, a young lady named Tracy Fitchett, an aviation enthusiast, was lucky enough to be included in the flight crew. This didn't come easily for her! She wrote a lot of letters, including one to "Jim'll Fix it" asking to be able to take part. Her persistence finally paid off and she followed G-HUEY around the air shows for a season. 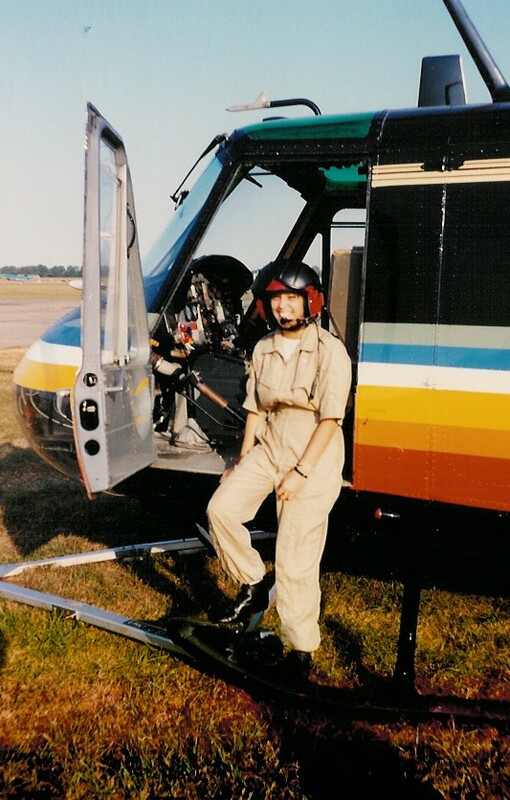 Her "obsession" with the huey has not waned and we were delighted to hear from her. We exchanged a lot of emails and Tracy told us all about her experiences with G-HUEY. Needless to say she was very keen to see 72-21509 and followed our progress avidly, so it was our pleasure to invite her to come up to see our machine! It was lovely to meet her and to hear more about her experiences with G-HUEY. She brought her husband, Douglas with her. He had never seen or heard a huey before and he admitted he didn't quite understand the obsession we have with these machines! I am pleased to say he is now converted! You can see Tracy's comments in the guestbook!